What makes a wedding more personal and unique are creative little touches like this project. Wreaths don’t take much time to make and it’s much cheaper to make it yourself rather than buy one ready-made. 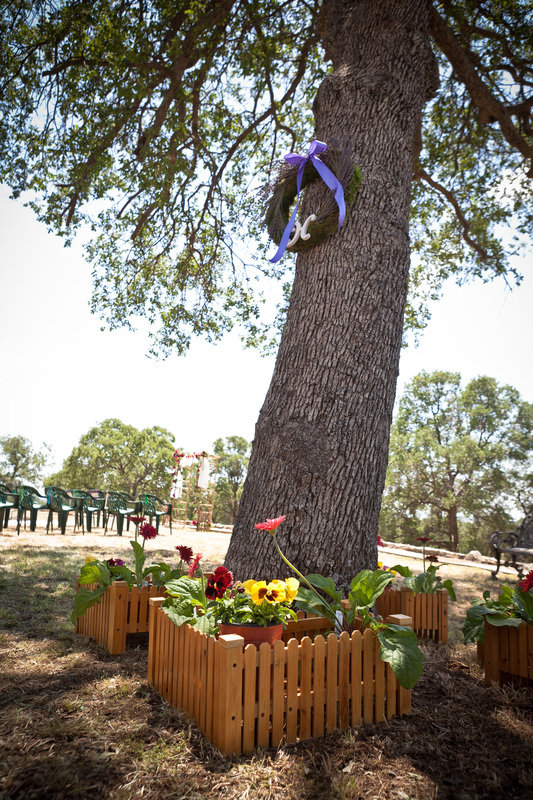 My wreath hung on a tree near our ceremony and added just a little decoration to our outdoor space. I had planned on using my wreath for many years to come, but after a few months on our front door, it started to fall apart. 😦 So if you plan to use your wreath to decorate your home after your wedding, I suggest that you not use a foam wreath frame. 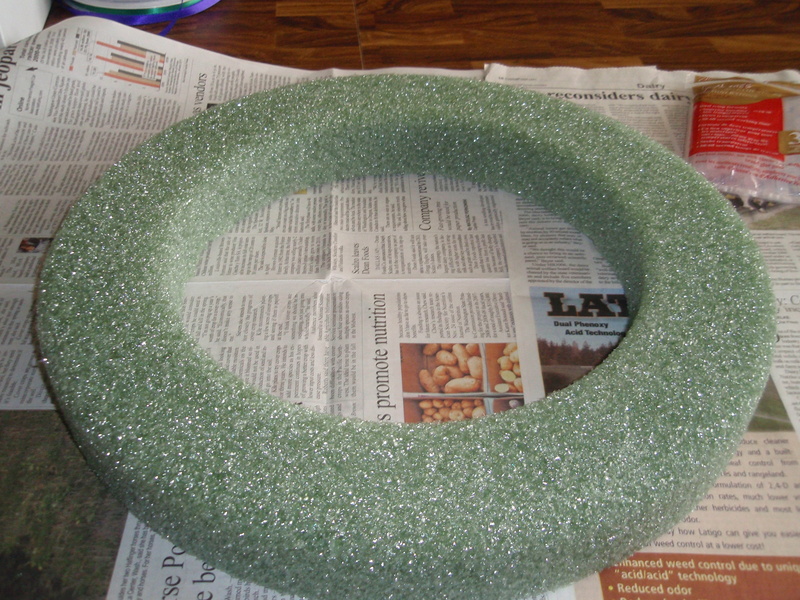 To start off with, I covered my wreath with moss using a hot glue gun. I cut the moss into to sections to cover the wreath front and sides. I didn’t put any moss on the back as my wreath was hung on a tree, but if yours is hanging in the open, you might want to cover the back as well. This was probably the most time consuming of this project. 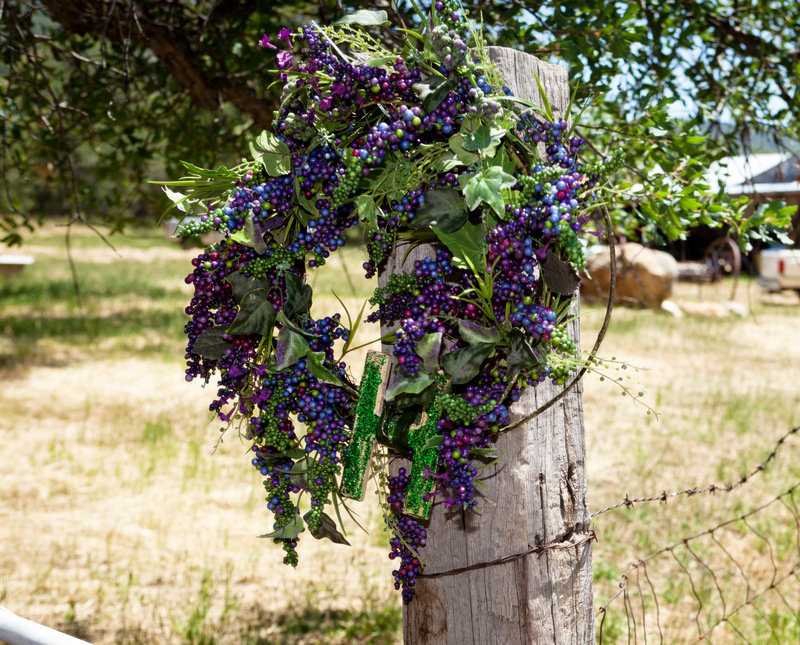 You may want to let your wreath dry for a little while before affixing the flowers. 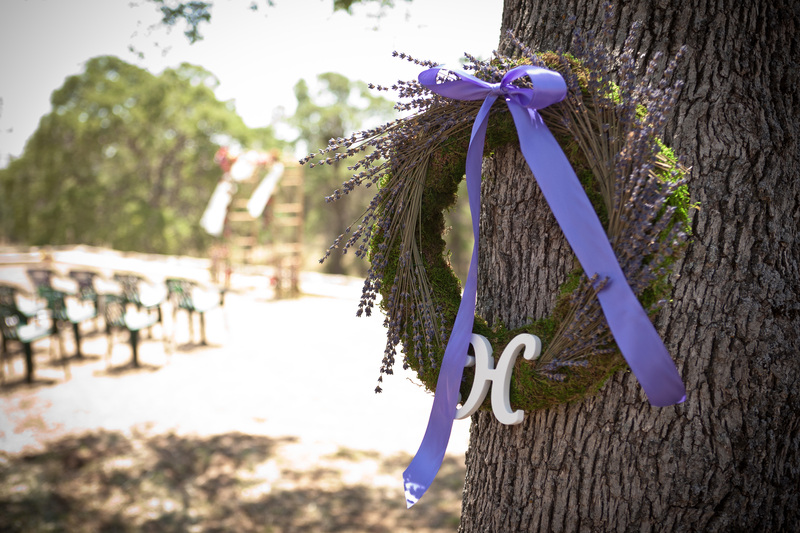 Next, I took my dried lavender stems and arranged them around my wreath in a pattern that I liked and wrapped wire around each one, twisting the wire on the back of the wreath so that it doesn’t move, and cutting the ends off. I also stuck the sharp ends into my foam so they didn’t catch on anything. 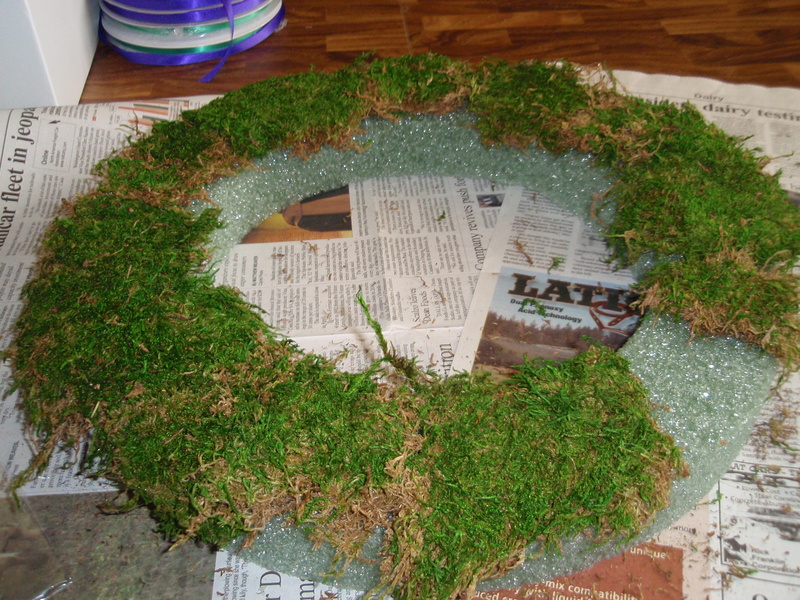 The wire blends in with the moss to hide it and you can also tuck stray flower pieces in to cover the wreath up. If you also glued moss to the back side, you may want to glue some more moss over the wire cover it. 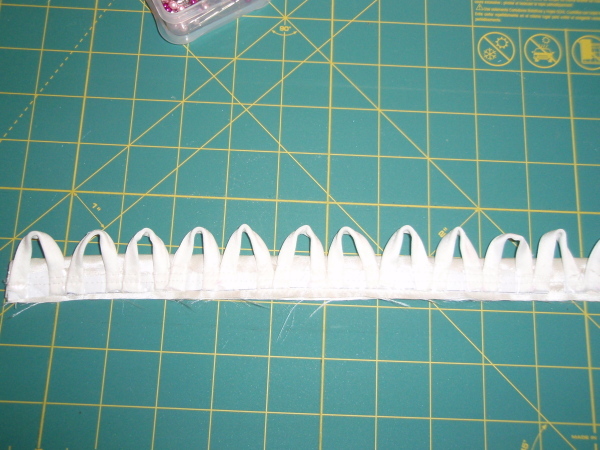 I also added a little moss on the front to cover some exposed wires on the front, that way it would blend seamlessly. I’m sorry that I don’t have any pictures to add here of the flower wiring process, but it was close to my wedding when I was finishing this project and I didn’t take time for pictures. I then attached my wooden letter to the bottom of my wreath (of course you could put yours on the top, too, or you could have letters for each of your names as well — pretty much whatever suits your fancy!). My letter had hooks on it, so it was easy to wire the letter on the frame. I put another wooden letter without hooks on a ready-made frame that was hung on a gate leading into our wedding area and wrapped wire around the base to attach it. My letter for the lavender wreath was already painted white, so I didn’t have to do anything to it, but you might want to paint yours or add glitter or designs. I then made a hanger loop out of floral wire to hang the wreath by wrapping wire around the top and twisting it into a loop. And then I tied some ribbon into a bow and wired that on as well and VOILA! my wreath was done! And here’s my other wreath, which was a ready-made one I bought at JoAnn’s and just added a wooden “H” too. 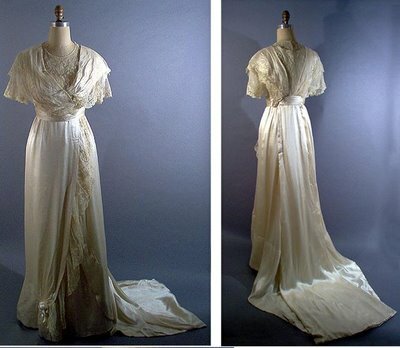 I think these could be nice as house warming presents too!